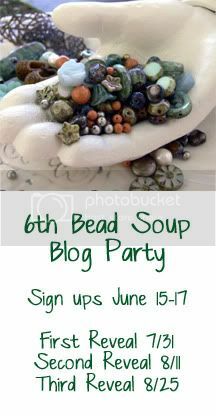 What's not to love about the Bead Soup Blog Party??? It's so amazing to see all the wonderful creations. 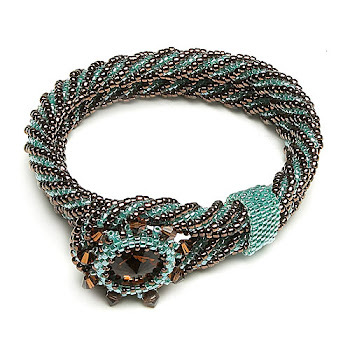 The talent of bead artists around the globe. I have been honored to participate in two out of five Of Lori Anderson's blog hops. I love waiting with anticipation to receive my luscious bead soup, then to put my creative mind to work. Imagining what will become of the pretty little beads sitting in front of me. If you haven't taken part. It's a must. Hope to see some of my students joining this next Bead Soup.